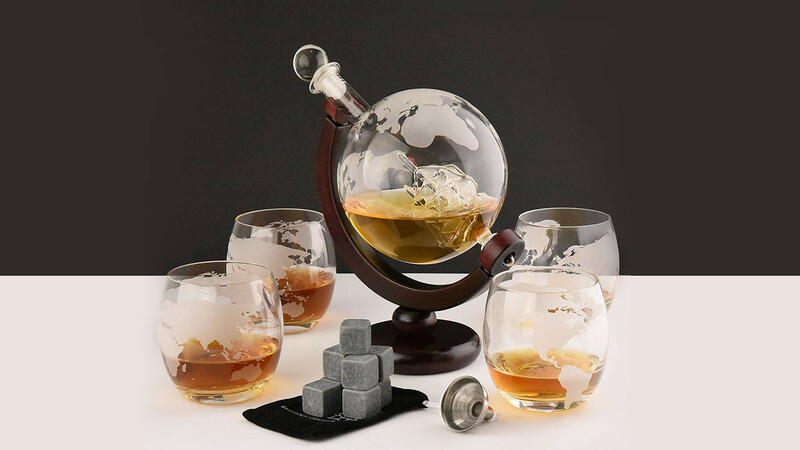 This unique whiskey decanter set features a glass globe decanter. There are four glasses included as well as nine freezable cubes for cooling your drinks. Maps are etched into the globe and the matching glasses. 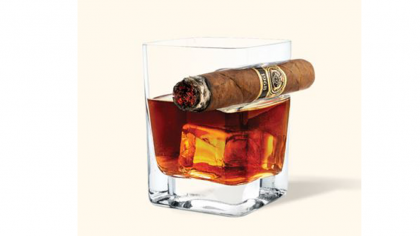 It is perfect to use every day in a home bar or to use for special occasions. This set comes in an attractive gift box so it is perfect for gifting. A great gift idea for a housewarming, birthday, anniversary or holiday. The globe holds approximately 850ml of your favorite liquor. You can give it alone or with a bottle of the recipients favorite spirit.